I have been exploring buildings of the past since I was a kid. 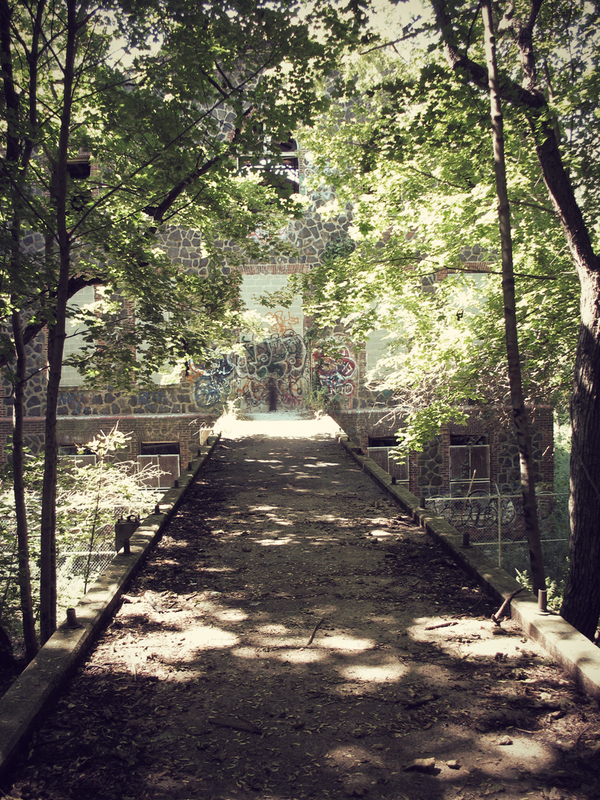 It all started with my friend Henry the time we went to an old orphanage in Elizabeth, NJ. From then on I was hooked. 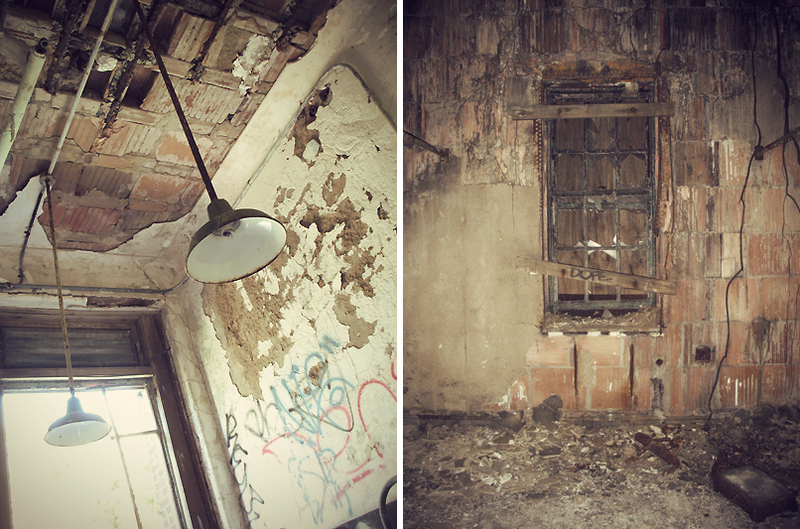 When I first met Dan, my now husband, I was happy to know we shared a love for abandoned places. In the beginning of our relationship we ventured out to a few. 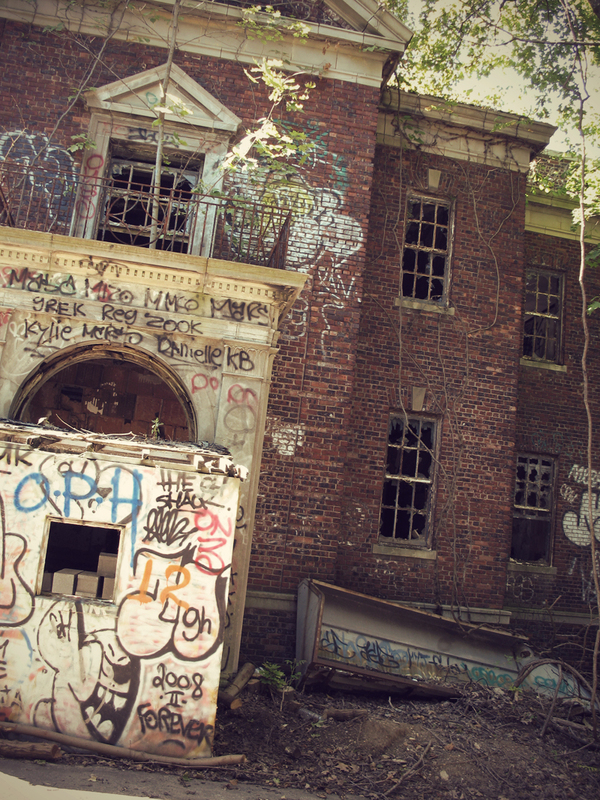 The first one was an old school in Suffolk County, which was interesting. 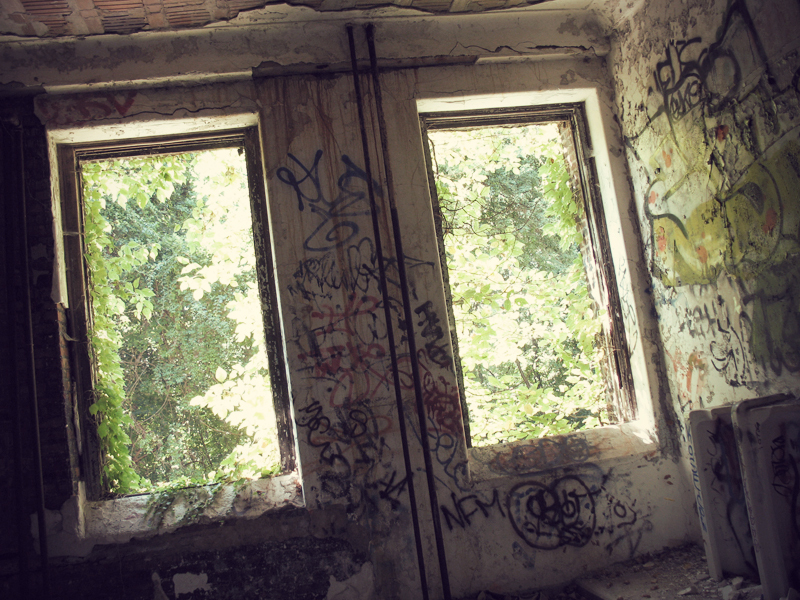 After that I wanted to take him to a place I once visited but really wanted to see again, Seaview Hospital. September 1, 2008, we took the drive to Staten Island during the day so we could get some good time in to see the property. There are various buildings that lie within the gates of the hospital and when its dark it’s totally creepy. That was my mistake the first time. So once we got there and crawled through the hole in the fence, our journey began. 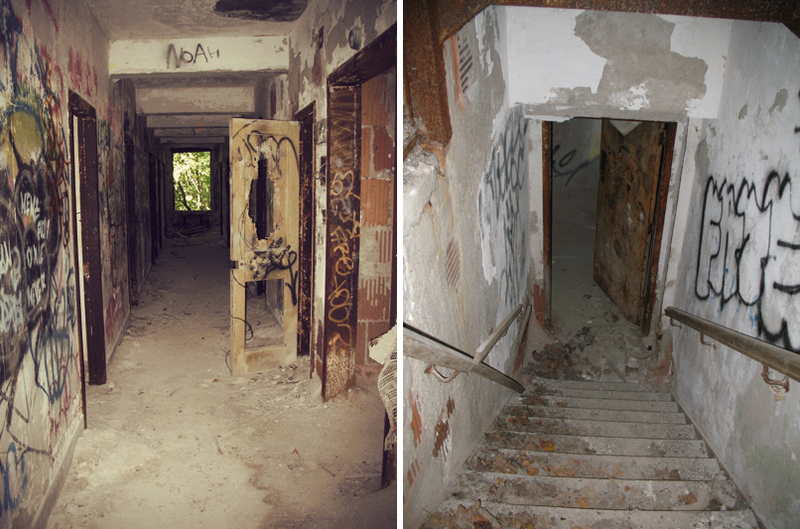 The complex, built between 1913 and 1938 and was created to treat tuberculosis. With a beginning budget of 1 million, it was the largest facility in the country at the time, ending at about 4 million in contributing funds. Back then they thought the best cure was fresh air, rest, sunshine and a healthy diet. Because the center was somewhat rural, this was a perfect place. It was built on the former estate of Charles Schmidt along the East side of Brielle Avenue and most of the 37 contributing buildings are of Spanish Mission and Colonial Revival style. 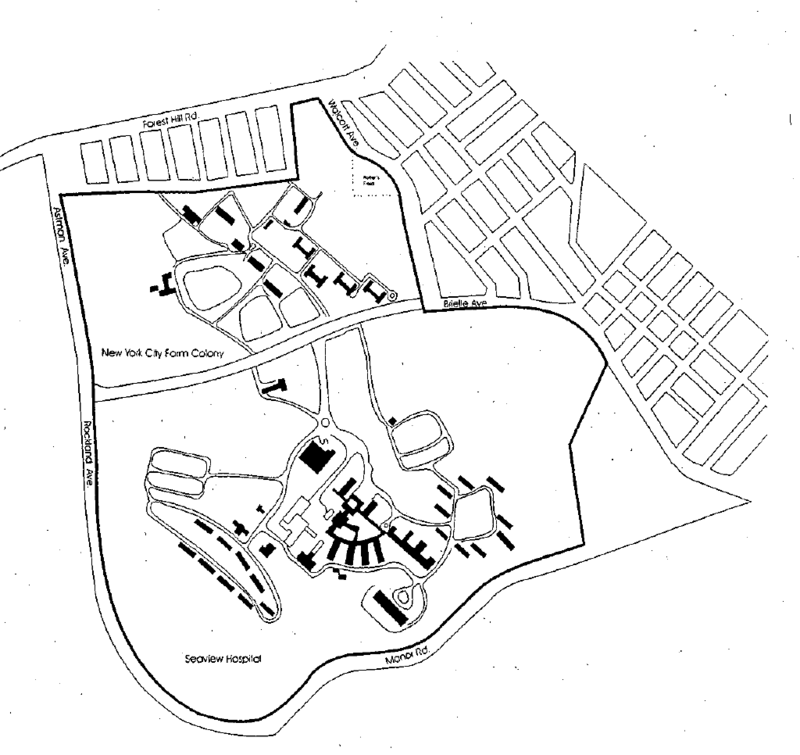 In 1915 it was expanded to another 2.5 acres and the sanatorium was completed in 1917. Eleven years later, the chapel was constructed as well as a new laboratory and in 1938 they added the children’s hospital. Thanks to the contributing work and trials of Dr. Edward Robitzek and Dr. Irving Selikoff at the hospital, a cure was found about 39 years later. However, the facility was pretty much shut down and just left there. 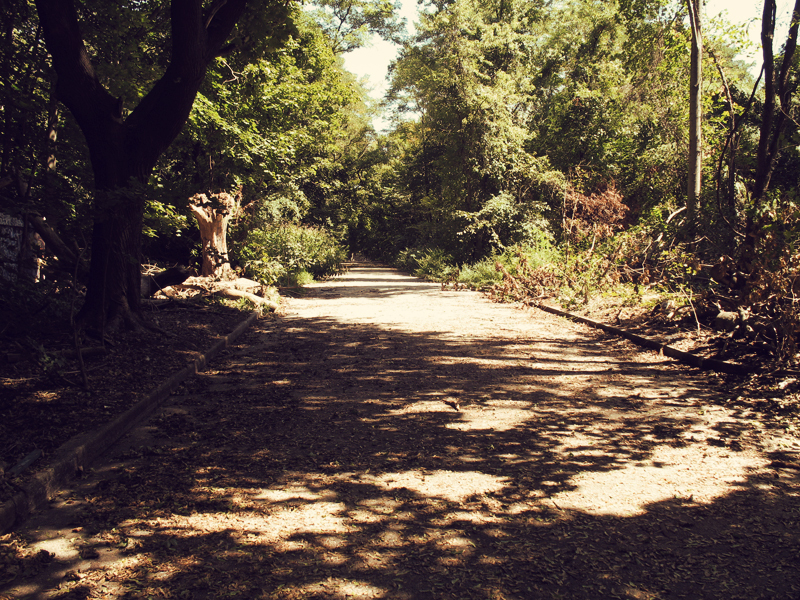 It was named part of the Staten Island Greenbelt as well as part of the historic district. Today, a new Seaview still stands using some of the functioning buildings as well as new buildings that were created in 1973. These replaced some of the original structures. 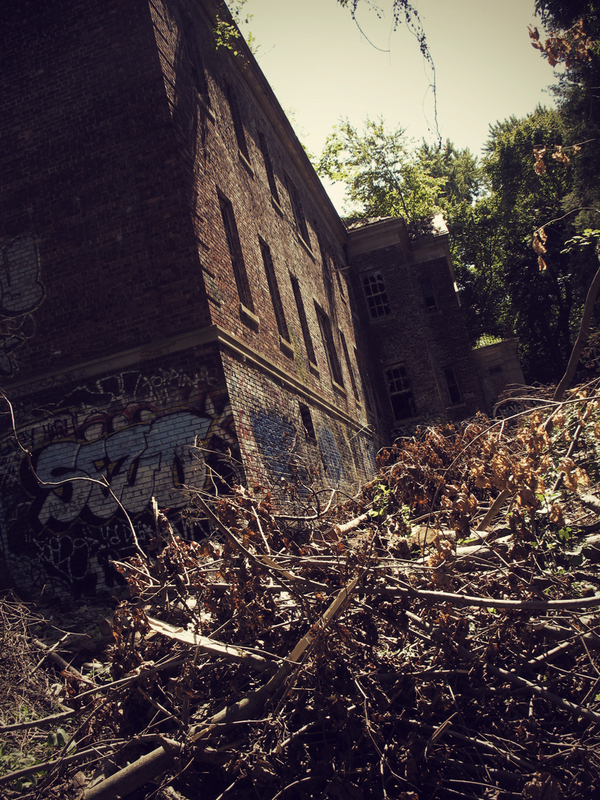 Behind the historic Seaview is the histortic New York City Farm Colony which was founded in 1829 to house the poor. They were asked to work on the farm as payment. 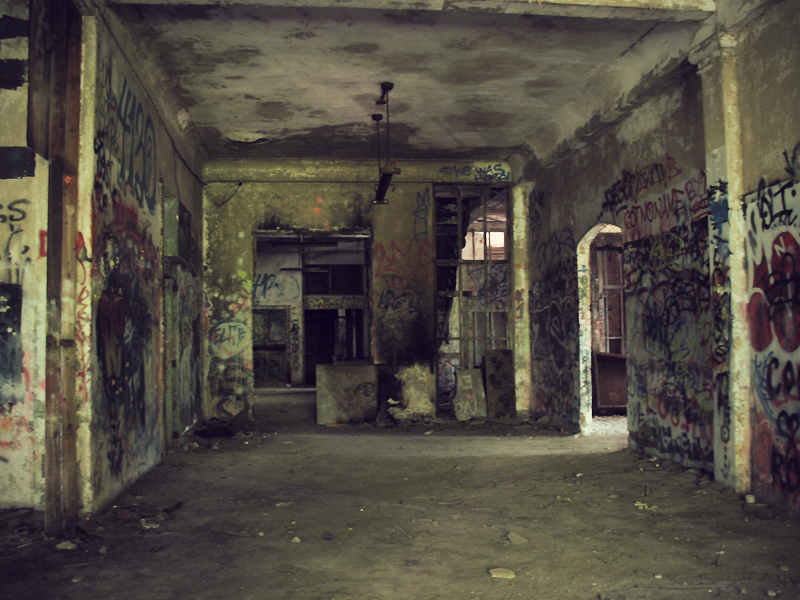 It had numerous dormitories, a dining hall and kitchen, laundry building, nurses’ residence, an insane pavilion and morgue. 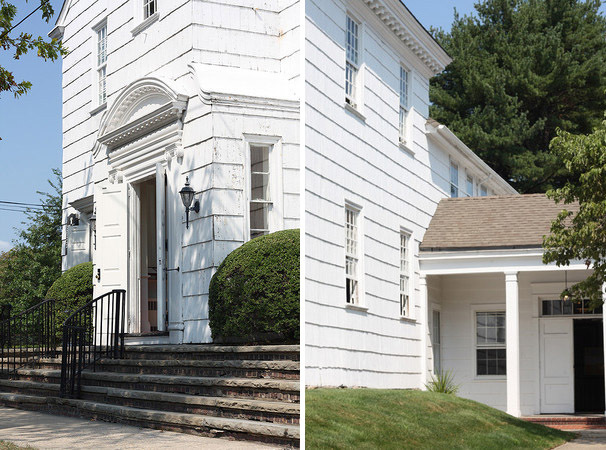 These buildings were built between 1829 and the 1930s. The farm was very successful in bringing fresh food to the area. In 1912, it is reported that $22,887 was the value of its crops. This time around I really enjoyed my visit to this place of the past. 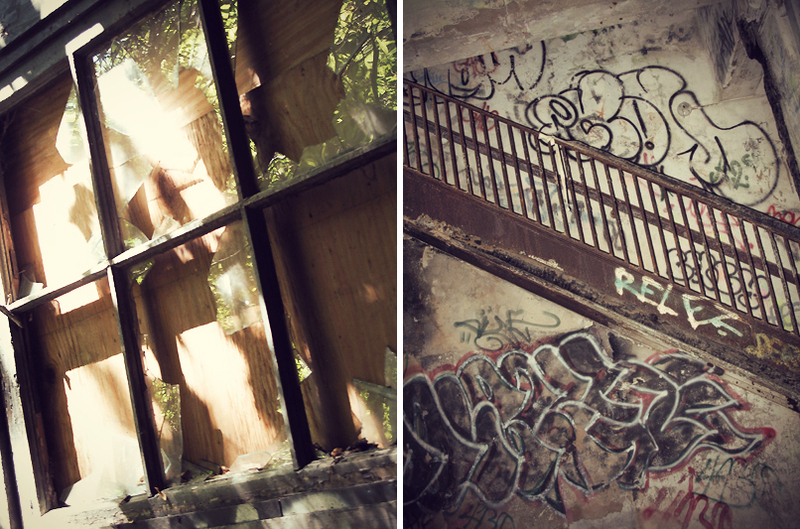 There are a number of abandoned structures so we were plenty busy exploring the grounds. We didn’t see the functioning buildings because losing light was not an option. I wanted to get as many photos as I could. 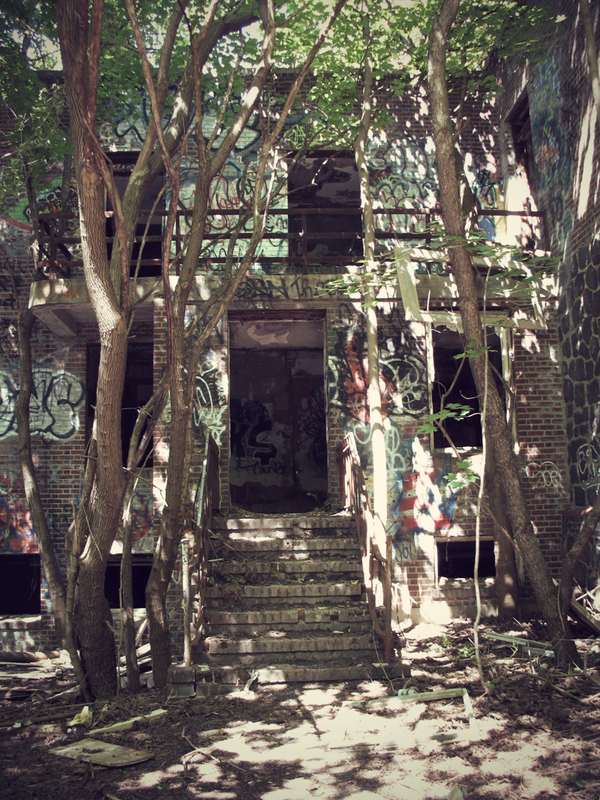 Although covered in graffiti and wreckage, Seaview Hospital is definitely a place to check out. It wasn’t that creepy being there during the day but there is surely a haunting feeling that resonates throughout the grounds. Especially when you enter underground and explore the basements. It’s very damp and cold. I always wonder what it would be like to have lived there when it was up and running. It is said to be one of the greatest treatment centers in the area. I think its great the doctors and staff were able to help thousands of people. Maybe these buildings will stand forever, even know most are crumbling down. It seems as though they are just left to depreciate and age and with so much land just going to waste, why not explore Seaview while you can. I would recommend you wear the proper clothing and bring a small bag of items like water, flashlights and even a first aid kit. You can seriously get hurt out there so be prepared. Other than that, have fun exploring! 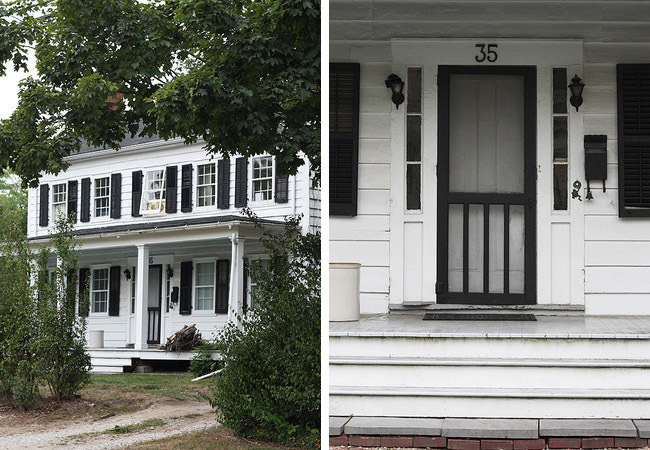 Still standing at 18 Spring Road in Huntington, Reverend Ebenezer Prime’s second home was his sanctuary during the later years of his life. Originally, the house faced the south but after several generations, new owners turned the main entrance facing west. 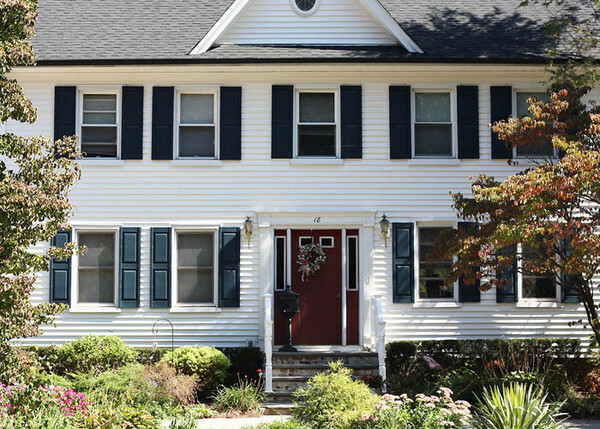 The home has the usual colonial style clapboard structure of that time. Its geometric design somewhat resembles the Prime House down the street with the placement of its windows. 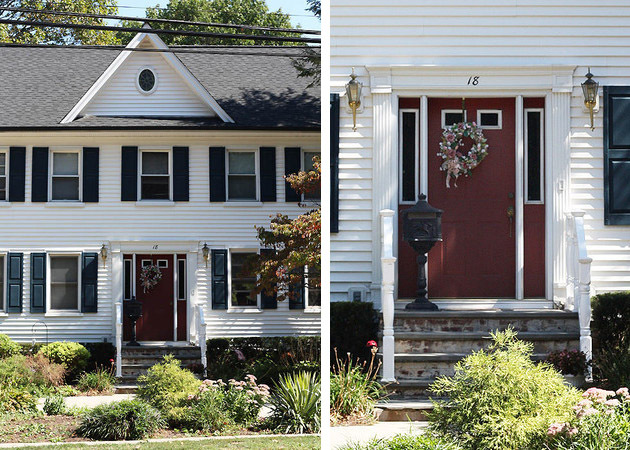 The main entrance also features two vintage porch lights that seem to be true to the house. 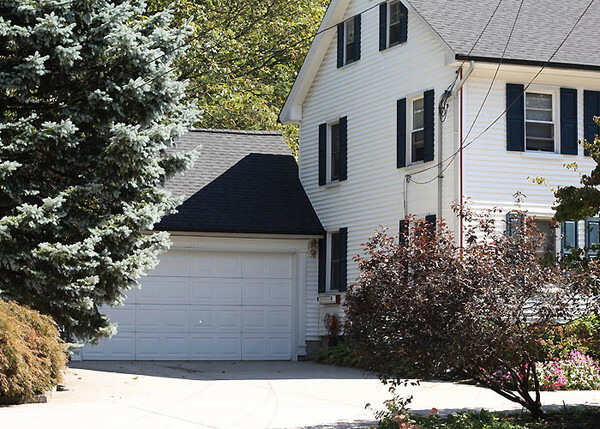 Although, the home looks updated, there is a clear history to the structure that one cannot miss. Ebenezer Prime was born in 1700 in Connecticut. He graduated from Yale College when he was 18, came to Huntington in 1719, and was ordained on June 5, 1723. He was an understanding minister and allowed even non-Christians to receive the sacraments. Prime baptized every child born during that time within three days of birth. 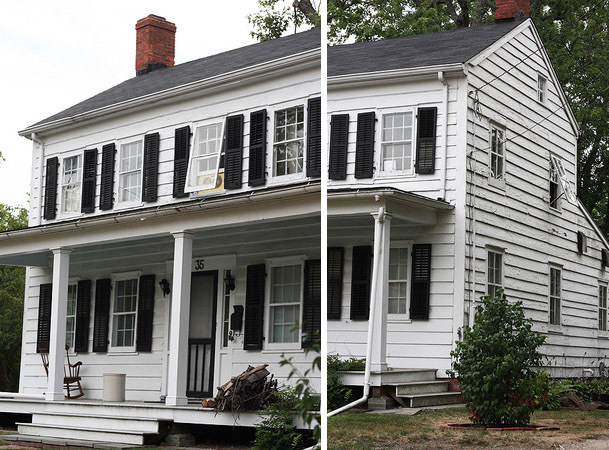 His home fell victim to the British during the American Revolution with the house seized and the library destroyed. This library was of great importance because the town commissioned him in 1759 to purchase books and keep them as a collection. There were imports from England as well as Greek and Latin versions of text. The townspeople were allowed to borrow the books for a certain amount of time but had to pay fines when they were late or damaged. Eventually all 155 books in the collection were of religious text and none were fiction. Known as the Library Keeper, Prime led the way for the library’s 39 members until 1768 when it ended. The Rev. Prime married three times, all within a 13 year-period, with each marriage ending in the death of his wife. His only son to live up to adulthood was Benjamin Youngs Prime, who later became a doctor in New York City and also practiced in Huntington where he met his future wife, Mary Wheelwright Greaton. They had five children. Although the Rev. Prime died in 1779, his memories are clearly noticed throughout his home and the town church. He had a number of published texts that are well preserved. One of the prominent families in the history of Huntington were the Primes. Ezra C. Prime, son of Ebenezer Prime II, played an important part in the town’s industrial history with the business of his thimble factory. 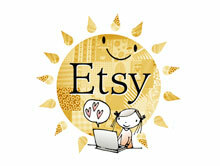 He returned from New York City in the 1840s where he owned a silver and jewelry business. Upon his arrival, he built his shop on Main Street and soon after moved the location across the street. By 1860, Prime owned a significant amount of land from both sides of Main Street. 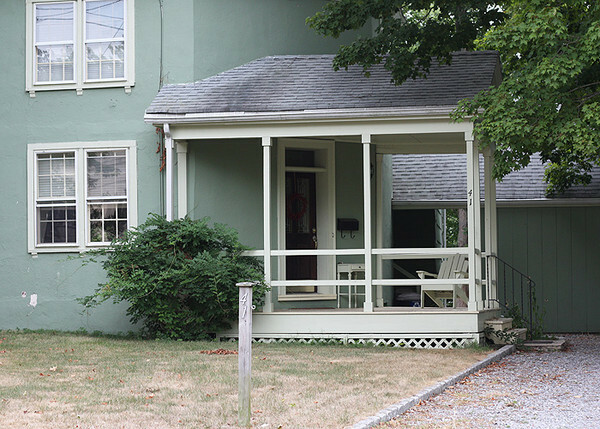 His original house on Prime Avenue, built in 1855, sits across from Heckscher Park where Prime built his dam. 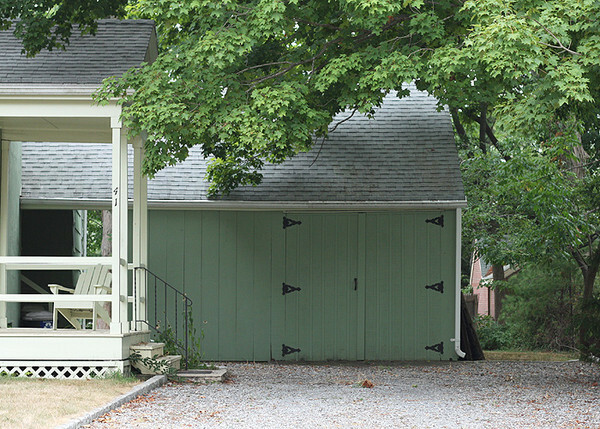 The clapboard home is two stories high with a low sloped roof in the back. The rooms were fairly large and inside the home there was a common hallway with an apartment on each side. The back of the home included slave quarters so it was used as housing for workers as well and is the only example of this type of residence. Its design showcases six-over-six sash windows and sidelights around the door. In 1920, it was converted into a single-family home and cellar fireplaces were added in 1951. All the original moldings, hardware and door are still in tact as well as the fireplaces and oven in the basement. In 1859, Prime built the octagon house next door. No one knows for sure if it was housing for his employees or just another home for his family but it was lived in until the 1920s. 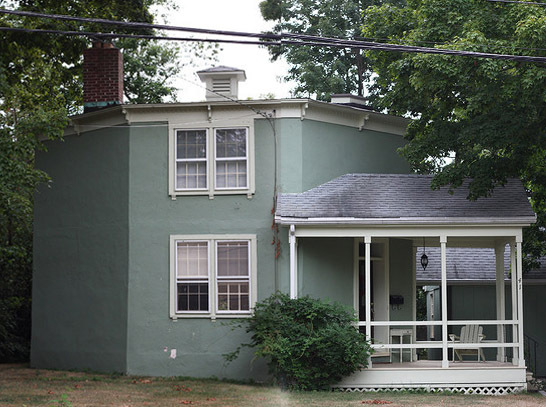 The home was a two-story building with a stucco exterior and hip-roofed cupola. These were built to help with ventilation. And its front porch is a site to see. 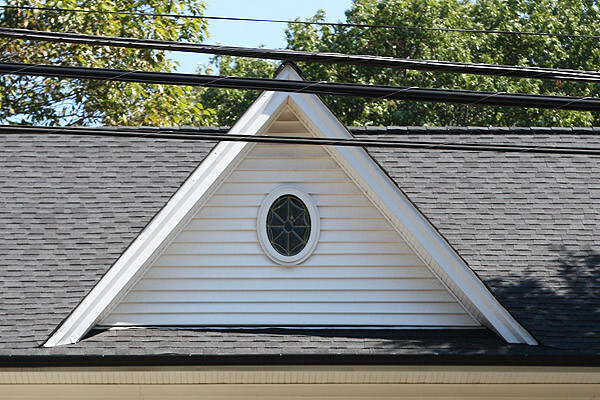 The house also showcases a bracketed cornice with subtle detail work that surrounds the top of the house. Think of this as outside molding. It gives the home a little style to play off the hard stucco look. The home’s walls are also 18 inches thick. Here is another beautiful building that is the only one of its kind in the area. Besides being smart and ambitious Ezra Prime was a creative man as well. He has definitely left his mark on Huntington and, like his homes, has created a history that will always stand strong and never be forgotten. 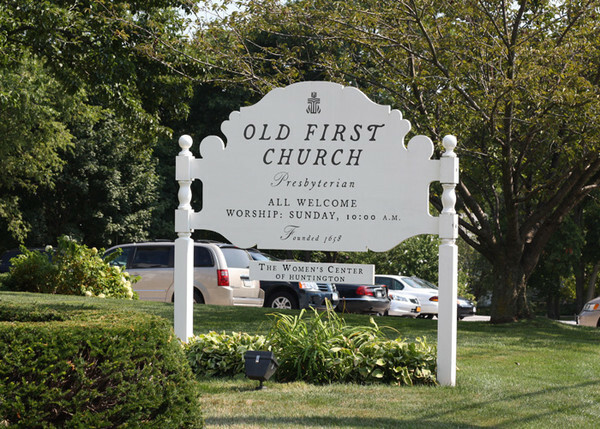 The Old First Presbyterian Church of Huntington was originally organized in 1658. At the time it was considered a congregational church with its first minister being the Rev. William Leverich. In addition to working with the church he was also the town’s first miller. He came to Long Island with a small group of men from Sandwich, Massachusetts and bought Oyster Bay from the Matinecock Indians. Later they purchased Huntington as well. Built in 1665, the church location was called Meeting House Brook, what is now Prime Avenue. According to Duke’s Laws it was mandatory to have a house that can be used for public worship and it had to hold up to 200 people. So in 1715, it was decided that a new church building would be built on the East Hill on Main Street. Rev. Leverich retired in 1669 and Rev. Eliphalet Jones, a Harvard graduate, took over from 1676 to 1723. After he did his time, Rev. Ebenezer Prime took his position up until 1779 when he passed away. 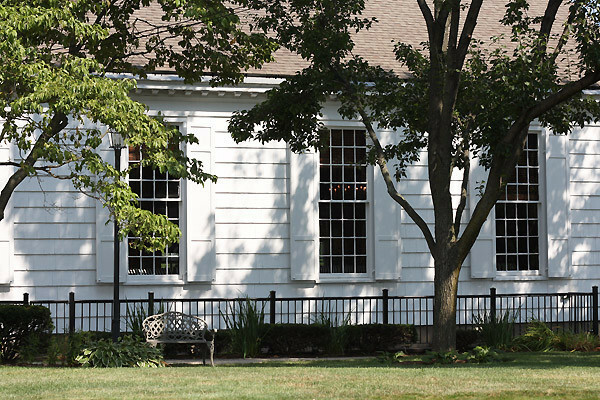 He was a Yale College graduate and came to Huntington in 1719 as an assistant to Rev. Jones. 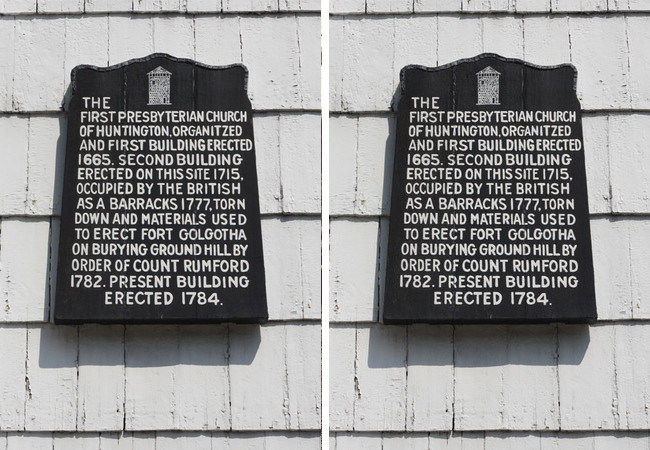 During the Revolutionary War the church building was seized by the British and eventually was dismantled so its parts could be used to build a fort on the Old Burying Ground. Its bell was also taken and used on British warships. However, it was found in 1783 on the ship Rinoceros and had to be recast before it was able to be used for service. 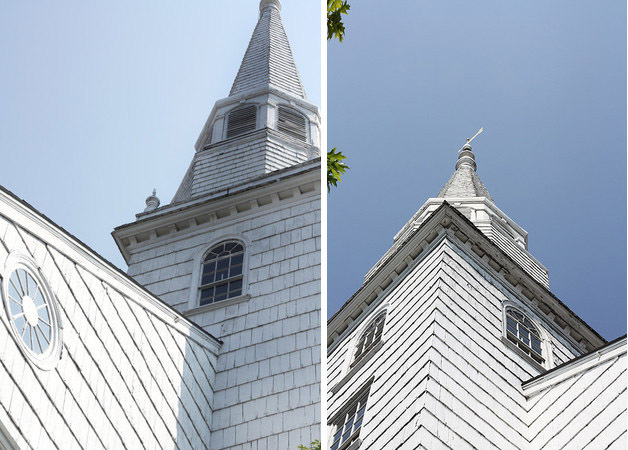 That year the Huntington residents started to reconstruct the church on 125 Main Street where it sits today. The two and one-half story building has a pitched gable roof and five-story bell tower in the center of the structure. Under the bell tower is where the main entrance stands. During the 1900s, the addition to the two story, five-bay gabled roof was added to connect the back of the building. Later in the 1970s the parish hall was built as well as the four-bay hipped roof on the west side. 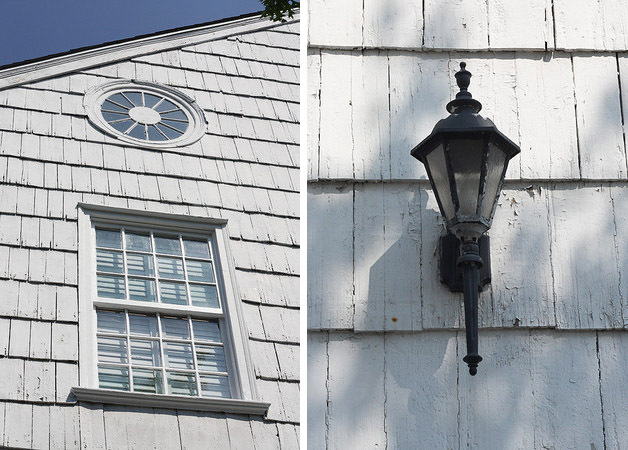 The building is dressed with white wood shingles, multi pane windows and many classic decorative details such as its modillion cornice which surrounds the edge of the roof and the elaborate work above the main entrance. Also take note of its lunette windows which is a nice contrast to the rectangular shape windows that are used throughout the structure. 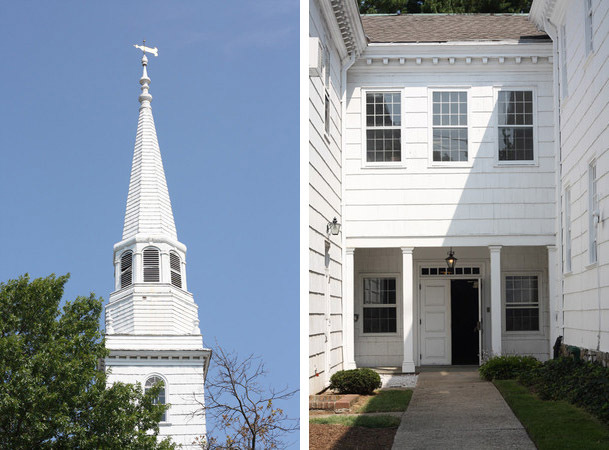 The First Presbyterian Church expresses a New England colonial style that was mostly used for religious architecture. I happen to love the bell tower due to its height and slim design. It looks beautiful against the tones of the blue sky. For over 300 years, the church has seen unbelievable change but stands today spreading a message of hope and faith. It gives the town a sense of community and provides it with a gathering place for all. With the ring of its church bell every Sunday you can count on that feeling of togetherness and love, all year round.